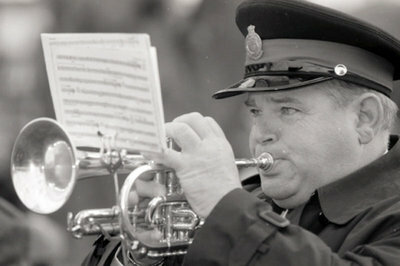 This photograph shows a member of the Whitby Brass Band playing during the service. Remembrance Day, November 11, 2005, Carl Ferencz. Whitby Archives A2013_014_010A.